Ski goggles will quite possibly be the most important gear you put on before you hit the slopes. They protect your eyes from UV rays, rocks, sticks and more. They also help you see in various lighting conditions, depending on the color you choose for your lenses. In addition, good ski goggles also keep your vision from becoming blurred due to fog. Some lens colors fight through the fog on the outside (to assist your vision in low lighting). Sometimes, using a double lens, or vents, help keep the ski goggles safe from fog on the inside. One more thing they do is quite possibly the most obvious: they keep your eyes safe from flying rocks, sticks and other materials that could cause you to lose your vision or damage your eyes. So select goggles carefully and wear them--and your helmet--at all times! What do you want to be protected from? UV protection is a must! If fog is your problem, consider double lenses. Single lenses don't cost as much, but the double lenses may be worth it if you're constantly battling with fogged up lenses. Not only is it annoying, but fog is also dangerous, so you should buy your ski goggles in a style as beneficial to your safety as you can. Ski goggles with vents also prevent fogged lenses. What is the lighting usually like? Different colors affect your vision in different ways. Some colors make everything crisper and clearer, while other colors may hinder your sight. Try purple if the sun isn't shining brightly and it's overcast out. Silver, green and gold lenses are great for quite a few conditions. If the glare is horrible and the sun's bright, try black iridium lenses. The mirrored coating helps cut the glare without cutting your ability to see. 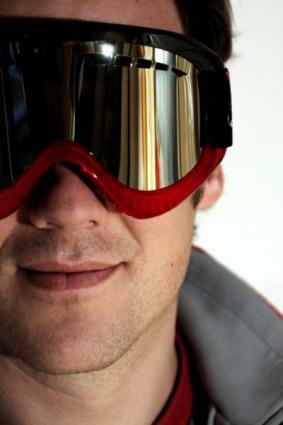 Your helmet also plays an important part in determining the ski goggles that are right for you. Make sure you choose goggles that are compatible. That part's up to you, though. It all depends on the helmet you've chosen. Do you wear prescription eyeglasses? Your fit of choice will be different than that of your contact lens wearing or lucky 20/20 vision friends. They'll be wearing the sleeker, smaller versions, while you'll need something a bit bulkier to accommodate your eyewear. That's okay, though . Just make sure you take your glasses with you so that you can be fitted properly in the store. Oakley offers a selection of ski goggles. You can even find a few reasonably priced ones on Overstock.com. Alpine Crystal Ski Goggles also make a good choice, offering shatterproof polycarbonate lenses, vents and great UV protection.